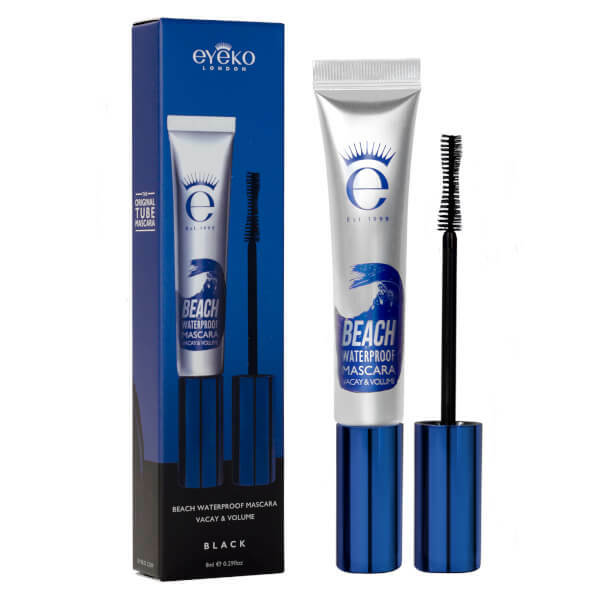 Eyeko's Beach Waterproof Mascara is a lengthening and curling black mascara that takes lashes from beach to bar. Completely waterproof and cruelty free, the vegan mascara delivers maximum coverage, lifting, curling and volumising every lash with lasting effect. The innovative brush has been designed to mimic the ripples of a wave; it has a subtle dip to sweep up lashes for instant length and thickness. The densely packed, soft bristles effectively coat every lash to inspire a fluttery, fanned-out effect with colour that stays put without running or fading. 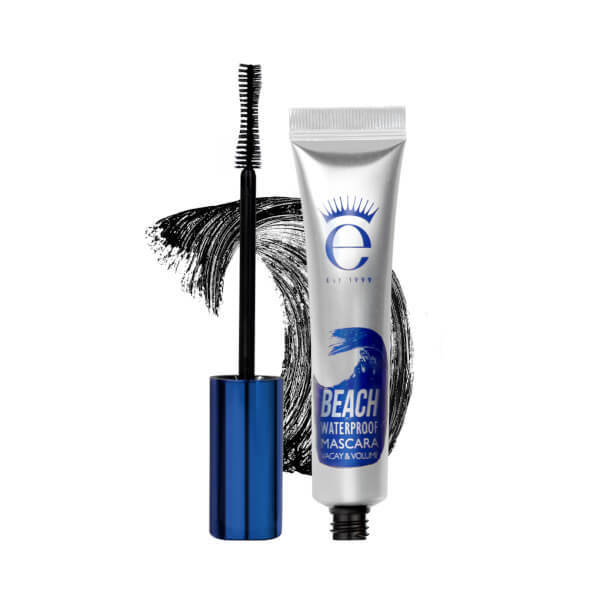 Formulated with sunscreen, Coconut Oil, conditioning fruit extracts and waterproof pigments. Housed in a zero-waste squeezy tube. Isododecane, Trimethylsiloxysilicate, Mica (CI 77019), Ceresin, Disteardimonium Hectorite, Dextrin Palmitate/Ethyl hexanoate, Microcrystalline Wax, Iron Oxides (CI 77499), Polypropylsilesquioxane, Propylene Carbonate, Hydrogenated Polyisobutylene, Aluminium Distearate, Cellulose, Polymethylsislsesquioxane, Glyceryl Caprylate, Triethoxycaprylylsilane, Silica, 1-2-Hexanediol, Cocoas Nucifera (Coconut) Oil, Ethulhexul Methoxycinnamate, Water, Butylene Glycol, Phenoxyethanol, Aristotelia Chilensis Fruit Extract, Euterpe Oleracea Fruit Extract, Fragaria Chileanises (Strawberry) Fruit Extract, Lycium Chinese Fruit Extract, Morus Nigra Fruit Extract, Ribes Nigrum (Blackcurrant) Fruit Extract, Rubus Coreanus Fruit Extract, Rubus Fruticosus (Blackberry) Fruit Extract, Rubus Idaeus (Raspberry) Fruit Extract, Vaccinium Angustifolium (Blueberry) Fruit Extract, Vaccinium Macrocarpon (Cranberry) Fruit Extract, Vaccinium Myritullus Fruit Extract, Ethylhexylglycerin.